We recently mentioned that the touring mini punk festival Upstart Fest would be returning this year, and now it’s officially been announced. It begins in NYC on September 22, a few weeks after the same people throw the Upstart Antisocial Campout in East Durham, NY. 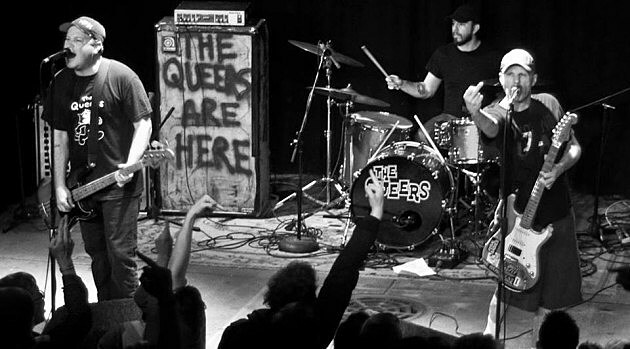 Full lineups for individual shows haven’t been announced yet, but The Queers are headlining all dates, and other bands playing include Svetlanas, The Jukebox Romantics and more. Full list of bands HERE. The first show is at Brooklyn’s Saint Vitus on 9/22, and the rest of that lineup is still TBA. Tickets are on sale now. All dates are listed below. Speaking of veteran punk bands hitting Saint Vitus in September, Agent Orange will do that on 9/1 with Fea (who you may have seen with Babes In Toyland) and more TBA. Tickets are on sale.